This is my corner...a place where I write about motherhood, pregnancy, baby experiences, family bondings, foundations I care about and anything in between! I have learned that motherhood is not an easy thing...That's why I get tips from my mom, mother-in-law, relatives, friends, books, magazines, the internet and whatever resource I can find. I also learned the importance of trusting the instinct I gained when I gave birth. Here's hoping that my blogs will help future, new and seasoned moms one way or another...Happy reading! Sometimes it's so hard to make her go to sleep at night, I don't have the time to sneak into my blog site. Other times, I feel so tired...I fall asleep before she does....but most of the time, I'm soooo loving every moment with her...I put all the blogging for later. Please help the victims of "Sendong"
Every day is precious. Every day is a milestone. little pumpkin in search for candies she cannot eat! post-birthday bliss at Tao of Venus! Education should be a right..not a privilege... In some countries, it's free to go to school. Even the food during lunch is free!! In a country like the Philippines, some families are already struggling to put food on the table..how can they even think of sending their children to school? That's why there are foundations like World Vision. To give these poor children hope and to provide their families with sustainable livelihood...The money you donate will be used to send kids to school, provide clean drinking water for the community, disaster relief, etc. If you want to know more about them, please read my blog or you can go directly to their website at http://www.worldvision.org.ph/. 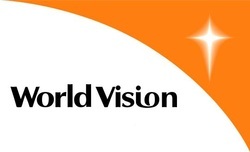 Please know that I am not working for or paid by World Vision in any way. I am currently a sponsor and just want to share this wonderful opportunity to give. *Everything I write is based on personal experience and is never meant to treat or diagnose. If you feel worried or concerned about your baby's condition, please contact your doctor.